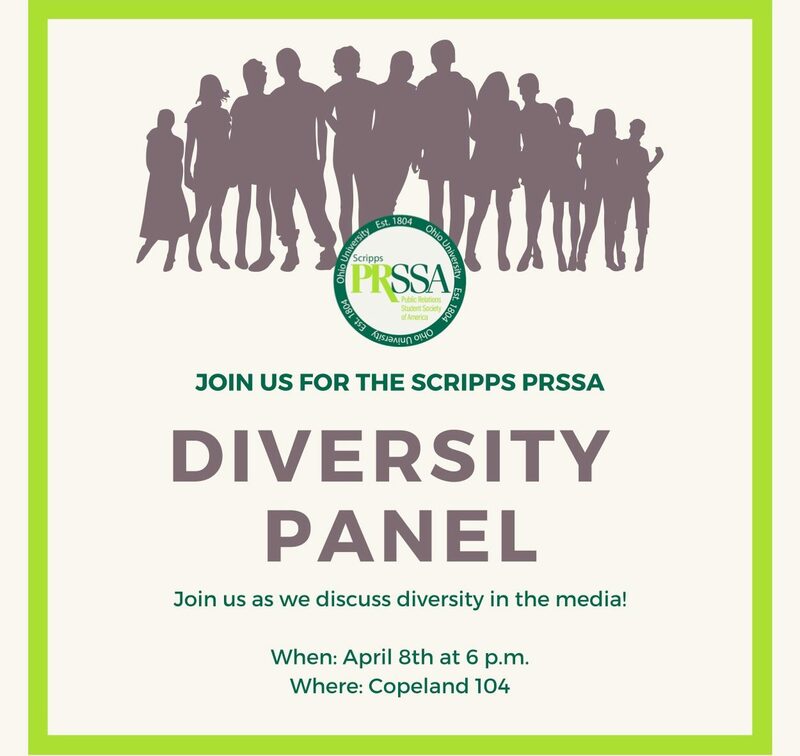 The OU Scripps PRSSA (Public Relations Student Society of America) invited me to be part of a panel on “diversity and the media” on Monday, April 8, 6:00 PM, in Copeland 104. The panel features four panelists from around the University: Dr. Edmond Y. Chang, Assistant Professor of English; Dr. Lisa Beeler, Director of Diversity and Inclusion and Internships for the Ralph and Luci Schey Sales Centre; Anna-Kaye C. Rowe, TA for the Global Leadership Center; and MaryKathyrine Tran, Assistant Director of the Women’s Center. I look forward to being part of the program! This entry was posted in #fifthyearfaculty, Events and tagged diversity in media, diversity panel, Ohio University, Scripps PRSSA. Bookmark the permalink.